How to get images in the message body of any HTML form. You need to point the code to the web address of any image on any webpage. 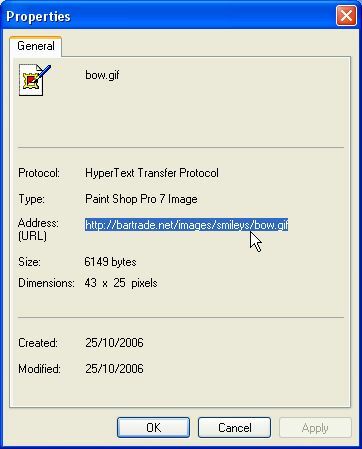 To find the image address, right click the image and click properties. So, all you've got to do is copy and paste the code above into a notepad doc and save on desktop for easy access. Then you can just copy and paste the code into the body of your message, where you want it to appear, then just change the address to the address of the image you wish to use. I've posted a heap of animated smileys on a site here ---> www.bartrade.biz/smileys.htm so all the smileys there will have the same address, just different file names at the end. 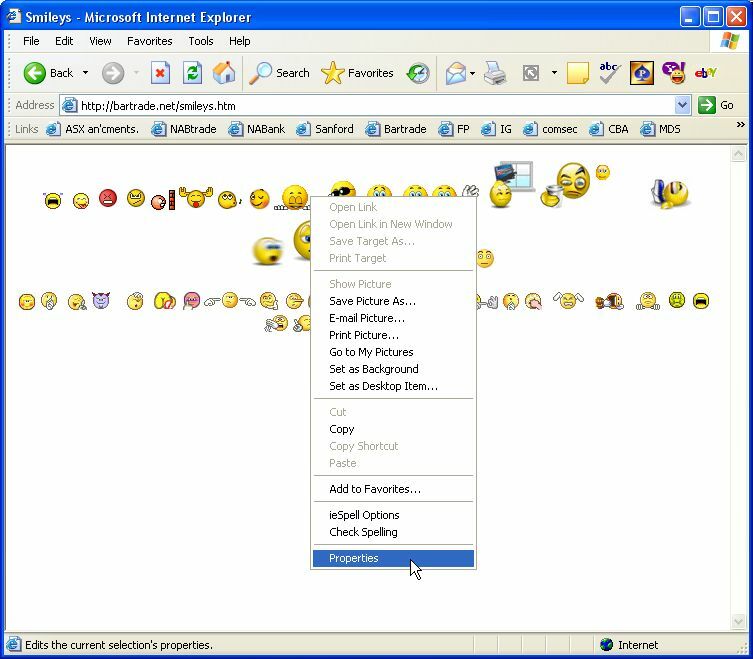 <IMG src="http://bartrade.biz/images/smileys/bow.gif"> will make appear. Change the "bow.gif" part to make any of the others appear. Remember, you can use any image on the internet by right click>properties>copy the address of the image and paste it into the code. However, if the site removes that image, then your image will no longer show - coz the code is pointing to an image that no longer exists.....make sense?